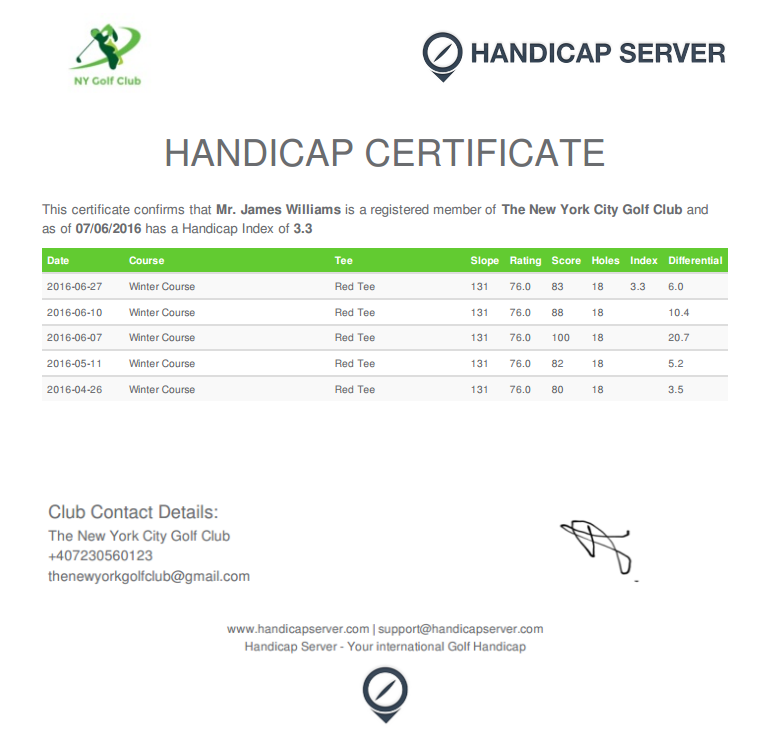 Handicap Certificate provides an elegant and simple handicap certificate design that confirms that a player is a registered member of a certain club and describes their golf handicap. The certificate includes the club contact information, club logo, the pro or the manager's signature and the golf handicap. All of these are customizable by navigating to Settings > Handicap Certificate. On the handicap certificate details page you can upload the club's logo and set up the phone number, email and signature with the help of our digital signature pad functionality. Once you click on Save the informations will remain in the system and they will be used for all future handicap certificates that you print. Note: If you want to edit this information later, you can always go back to Settings > Handicap Certificate. 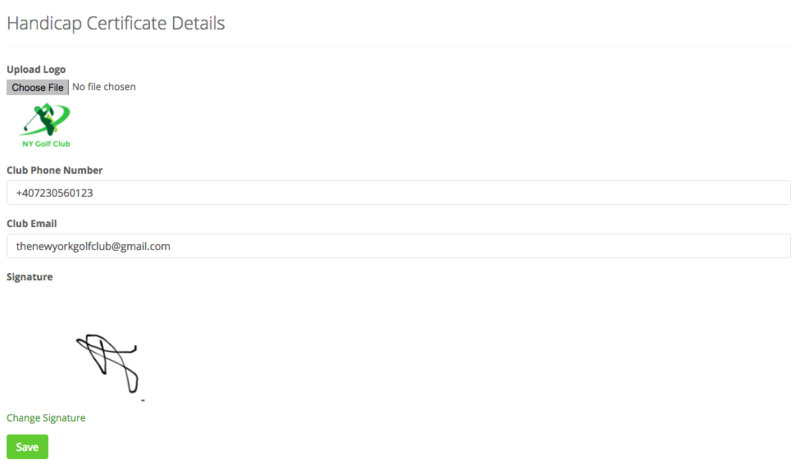 Now that you have saved your settings, you can easily print the certificates. 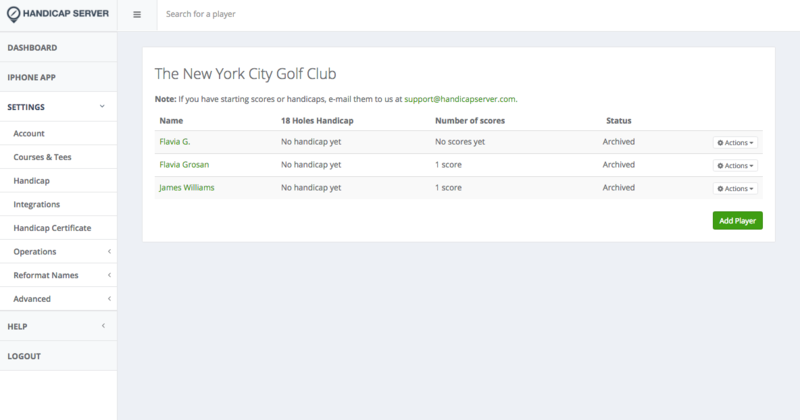 Navigate to Dashboard, click on the Actions box near the player name and click on Print 18 Hole Handicap Certificate. Here is the final result. Isn't it great?